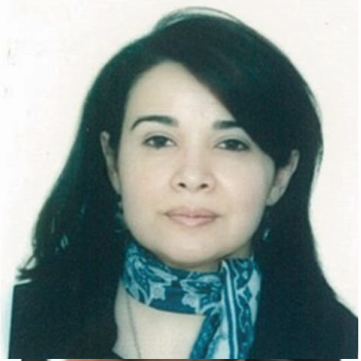 Ms. Asma BEN YAHIA, Fulbright Alumna and a former Research Scholar at Ann Arbor University, Michigan, holder of two Master’s Degrees, respectively in, British Civilization, Stendhal University, Grenoble III, 1996-1998, and American Literature, delivered by the University of the Sahel, Sousse, Tunisia, 1998-2000, and, is currently enrolled in a Master’s program in Political Science and Social Research, at the “Faculté des Sciences Juridiques, Politiques et Sociales de Tunis”. She worked as a University Teacher and a free-lance Translator and Interpreter prior to joining BG from September 2006 through January 2010 in her capacity of Hasdrubal Project Lead Coordinator and Projects Interface with UK-based manpower agencies. As the Senior Program Officer within the National Democratic Institute, operating under the US State Department, in charge of the CSO’s, Women’s Political and Economic Participation and the M&E Programs, Ms. Asma concurrently developed a relevant expertise in non-governmental organizing and the role of international donors, government agencies as well as the private sector as regional development instigators before joining the oil and gas sector once more, as CSR Advisor at Winstar Tunisia B.V., Serinus B.V. from December 2013 through September 2018. Her current position within Serinus Energy is External and Internal Relations Manager in charge of the Admin, HR and CSR Departments. Ms. Asma BEN YAHIA is also a member of the Arab Network for Women Political Participation and Economic Enhancement in addition to being an international election observer.